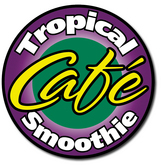 The Tropical Smoothie Cafe has been catering to the customers for more than 15 years now. The current name was officially established in 2005. Their specialty is the theme of tropical zone that they reflect in the ambience of their cafes inside as well as through the menu they offer to their customers. From the early beginning till date they have moved a long path and own about 300 cafes as of today. The Tropical Smoothie Cafe is spread over 35 states in the country. They are also in to charity programs in collaboration with Camp Sunshine. They raised more than $1.6 million for charity alone. There are currently 5 consumer reviews about Tropical Smoothie Cafe available. Share your review. I am a former employee of tropical smoothie on fowler in Tampa (inside of the Mobil) and the manager does not know how to run the business. There is a lot of illegal activity going on and I refuse to eat there because it has given me, as well as many customers food poisoning. The majority of the employees are she students who were improperly trained and I was one of the few employees that followed regulations. Employees will serve rotten tomatoes and lettuce. Maggots were found in the bananas. Do not eat there. The managers focus on the Mobil side of the store and have no idea what goes on at the tropical smoothie. Laziness has caused employees to stop labeling food with expiration dates and no one says a thing. We constantly run out of produce because no one knows how to order it, or doesn't feel like ordering it. It was by far the worst management I have ever worked for. I have never seen a manager treat employees with such discuss. Although nice to the customers it appears it is only a front and when a customer walks out the door the manager has not control of her own self being. I am disgusted by the way she treated these kids and would never let any child work for this company, or I should say the store at eagles landing in Mcdonough Ga. I waited over 15 minutes in the drive through at the location at Inverness Corners in Birmingham, AL zip 35242. The woman, Jan, I believe her name is, was so rude to me when I told her how ridiculous it was to he stuck in a drive through at 8:30 am for that amount if time. All she said to my complaint was Im sorry and shut the window in my face! She never offered me my money back or any type if comp to try them again. And to top it off, the smoothie was HORRIBLE! I added a weight management supplement to it for .69 and asked them to use Splenda when making their Hawaiian Breeze smoothie. I don't know if it was the supplement or if she used old fruit or what but is was so awful I threw it away and went to STARBUCKS where they know what good customer service is instead. I was in and out if that drive through in 4 min! I recommend the Hoover location in Birmingham by the Galleria if you'd like friendly service and good product. $5.00+ is a lot if money for a drink and they can't get it right they need to be refunding or crimping their mistakes, bc it wasn't my fault they were understaffed, but she certainly made me feel like it was! All I did was drive up and try to give them business in exchange for what I perceived to be a good product. Tropical Smoothie just list a customer for LIFE. That's the best revenge you can give a horrible franchise. And I hope more people will speak up of their awful experiences there, bc I know I'm not the only one! Their were two people behind me waiting along with me. I hope they got to where they needed to go. I had an interview to be at by ten and now I'm running behind thanks to them. It' not worth the wait! Don't make the sane mistake I did! Thank you, Ashley Ivatt . Who has to approve my review? I think that is a bit of an oxymoron. If the franchise gets to review it, of course they're not going to let it post! I can't believe I've Ben double lily a reward over by this company!!!! Please take a note that you are about to post a public review about Tropical Smoothie Cafe corporate office on CorporateOffice.com. This review will be public, so please do not post any of your personal information on this website. If you would like to contact the corporate offices of Tropical Smoothie Cafe, please use their contact information such as their phone number, website, and address listed above to contact them. However, sometimes staff from Tropical Smoothie Cafe headquarters do read the reviews on this website.